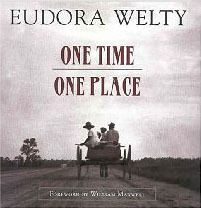 Are you a Eudora Welty fan? If not, you could be! The 100th anniversary of her birthday is Monday, April 13, 2009. To help celebrate, the University Library’s Special Collections & Archives has an exhibit of rare books, manuscripts, artifacts, and audio recordings for your viewing and listening pleasure. This entry was posted in Books, For Students, General News, Special Collections & Archives. Bookmark the permalink.